The court is in session! Now, this case is pretty bizarre and it involves the ownership of an adorable little pup. Two people claim it’s theirs, but who really owns the dog? That’s where Judge Judy comes in! Of course, who wouldn’t want a dog?! They’re the most loyal and playful animals out there. That’s what truly makes them man’s best friend. Dog owners obviously love their dogs, why wouldn’t they? That’s what makes a situation like this so unbearable. How do you go about someone taking your dog and claiming it for their own? It’s a tricky situation as dogs can’t speak for themselves. 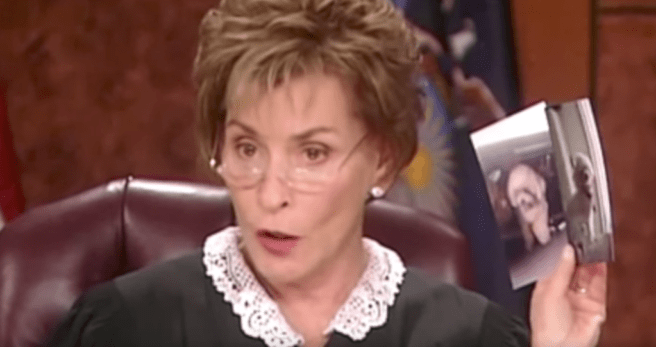 Judge Judith Sheindlin, better known as “Judge Judy” on her American courtroom reality show with the same name. This clip went viral thanks to her quick thinking and simplistic way of identifying who owns the dog. This case certainly is a unique one for Judge Judy. The centre of the scandal is the tiny little pup, Baby Boy, a little dog that both the plaintiff and the defendant claim to be theirs. The defendant claims that she bought the dog from someone selling dogs on the street. However, the plaintiff claims that Baby Boy is actually his and that the dog was sold without his knowledge or permission. In Judy’s eyes, there was only one way to settle this dispute. She ordered to bring the dog into the courtroom to identify who the rightful owner is himself. I won’t tell you who or how she managed to solve this puzzle, I’ll let the video below do that.